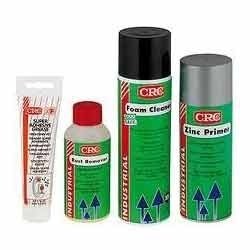 With our constant efforts and hard work in CRC Maintainence Products , we have become most preferred choice of the customers. We are authorised dealers for ZKL Bearings. (modvat Available). We have complete stock of ZKL Bearings and are sure to offer you the best possible price. Please contact us with your regular requirement. A one stop source for all your Engineering Requirements. We are one of the leading Importers, Stockist And Suppliers Of Various Engg. & Electrical Products since 1992. We Are Regular Suppliers To Various Engg.Projects, OEMs, Shipyards And Ship Builders, Off Shore Cos, Engineering & Construction Companies, Cement & Sugar Mills, Engg. Contractors, Etc. We Also Take Fabrication And Insulation Jobs ( M/S. ITS Equipments Pvt.Ltd). We Apply Stringent Quality Standards And Test Check For All Our Supplies.T.C. Provided Wherever Possible. Third Party Inspection Also Possible. These products are being made from high quality raw materials. Beside manufacturing we are also importing our products. Our strong market presence, pocket-friendly rate, our strong quality-approved supplies have made us a dominant leader in this market. Along with timely delivery of all products we also do care of hassle-free payments, thus providing customer-friendly environment.